Beautiful 1 bedroom and loft 1 Full Bath Cottage W/Parking on street. There are 5 flights of stairs to get to the cottage as it is on the side of a mountain located beside the state game lands. Very private compared to most of Mt. Gretna. Located Near Many Attractions, Hershey, Lancaster, Historic Mt Gretna. The local area has much to offer, the lake for swimming or sunning on the beach, mini golf, roller rink. Jigger Shop, Trails. The house location is nice. It’s in a very small town so you have some grocery markets nearby. There’s a lake just across the road, about 2 mins walking which will be great in the non-cold weather. The house has pretty much everything you need from blankets, towels, cooking tools and some spices. There’s a fireplace which we loved but you need to bring you own wood. The house is very warm and that’s a plus because it was -22C outside! We enjoyed nesting and adventuring from this cozy house! 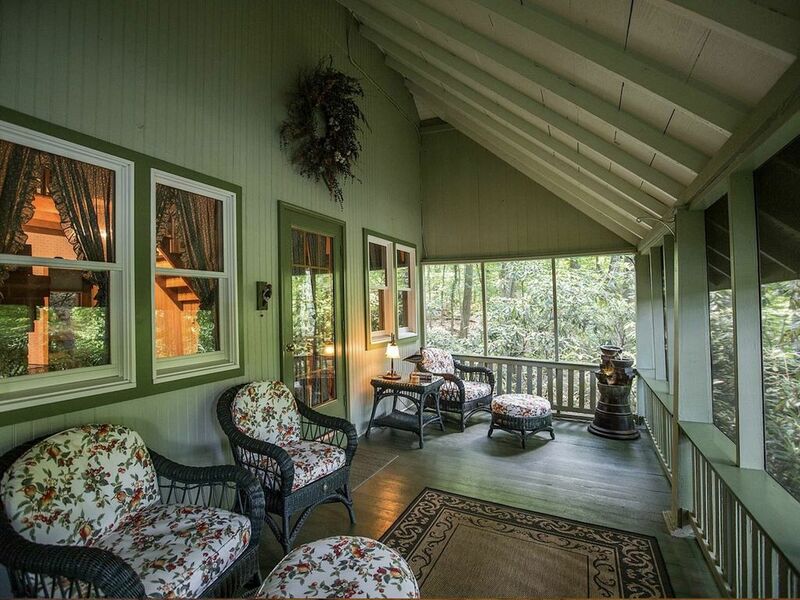 The house feels like a rustic and comfy cabin nested in the woods. However, it's in a small neighborhood in Mt. Gretna - where we hiked, roller skated, and played lazer tag nearby! The fireplace was lovely (BYOfirewood.) We'd like to return in the summer to enjoy the large screened in porch, swim in the lake across the street, and visit the ice cream parlor.